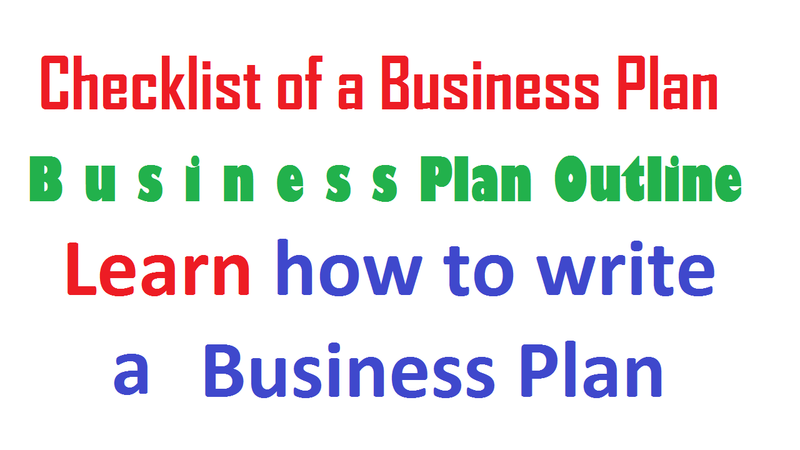 Learn how to write a business plan. Write a business plan sample or proposal by using this formula. A business plan should take into consideration the checklist in the process of its preparation. In addition, it is advisable in order to avoid defects in the plan resulting from missing some important variables. The art of preparing good business plans should include nine sections. In general, the nine sections are- introduction, basic consideration, competitive advantage, production, marketing, management, accounting & finance, conclusion, and appendixes. Here is the checklist of a business plan. Let’s introduce with these lists. A plan to be complete in order to satisfy the needs of the entrepreneurs should include the following. Acceptability of products or services. Legality of products or services. Buying habits and capacity of the target customers. The individual and overall impression of the study by the consultant. Benefits gained by the owners. Additional reference for business owners on the subject matter. A good plan is a key to success in all business. If you have an idea but you have no good plan then the ideas would not too effective. As a result, a plan is very important to start a business.